Submitted Photo If you are looking for a gift for your Valentine this year, indoor plants make great gifts. 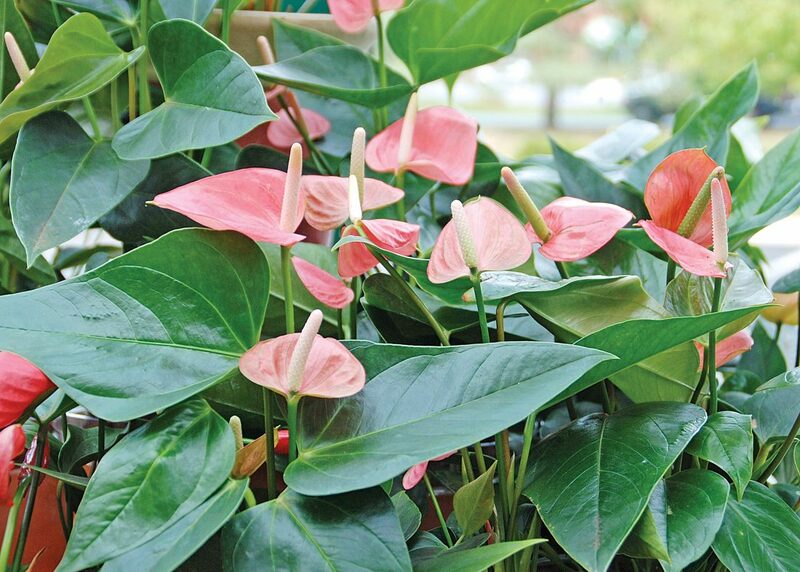 Anthurium, shown in this photo from Melinda Myers LLC, is easy to grow and a long-blooming plant. Looking for something different to give your Valentine this year? Consider gifting an indoor plant with heart shaped leaves or flowers. Anthuriums are an easy-to-grow, low maintenance, long-blooming indoor plant. The red or pink heart-shaped flowers rise above glossy green leaves. Pothos and philodendron are easy-to-grow and longtime favorites. Select one of the newer variegated varieties like Brazil philodendron or Neon pothos with bright lime green leaves for an updated look. Or maybe it’s a topiary of English ivy trained into a heart. All you need is a pot with drainage holes, a couple vining type plants and a piece of heavy gauge wire or a pre-formed heart shaped topiary frame. For a simpler gift, add a few cut flowers placed in water picks to any pot of indoor plants to add some color and brighten your valentine’s day. Melinda Myers has written numerous books, including Small Space Gardening. She hosts The Great Courses “How to Grow Anything” DVD series and the nationally-syndicated Melinda’s Garden Moment TV & radio program. Myers is a columnist and contributing editor for Birds & Blooms magazine and her website is www.MelindaMyers.com.